I recognized this immediately as Calpis, a watery yoghurt drink that I used to enjoy from time to time when I was living in Taiwan during 1970-72. The name Calpis was constructed as a portmanteau, by combining cal from calcium and pis from Sanskrit सर पिस sarpis (butter flavor). Primarily in North America, the name Calpis is changed to Calpico with カルピス in katakana either below or on the reverse side of the packaging. Kěěrbìsī 可尔必思 is the Sinographic Mandarin transcription of "Calpis" intended to represent the sounds of that name, but the translator lamely tried to convey the meanings of the individual characters, and did a pretty poor job of it. After "But, will think", my favorite Chinglish translation on this list is "Add the stupa". Here again, the translator feebly attempted to translate the meaning of the first character and assumed that the last two characters were some sort of nonce transcription for "stupa". There are many established Sinitic transcriptions of the Sanskrit term stūpa स्तूप, Pali thūpa (see the beginning of this article), but none of them include the characters duōbǎo 多宝, though they do sound vaguely like the Pali form of the word. I imagine that "in North America, the name Calpis is changed to Calpico" primarily to avoid it being pronounced (and described as) "cow piss". "There are many established Sinitic transcriptions of the Sanskrit term stūpa स्तूप, Pali thūpa (see the beginning of this article)"
I clicked the link to "this article" and allowed Google to translate it into English. I am more confused than ever! I'll stick with the "bite the wax tadpole", please. Then you can go to the English version of the article, though it won't have all the Sinitic transcriptions at the beginning of the Chinese one. That old saw about "bite the wax tadpole" is an urban legend. The name Coca-Cola rendered phonetically in Chinese can sound like the words for "bite the wax tadpole" (simplified Chinese: 蝌蚪啃蜡; traditional Chinese: 蝌蚪啃蠟; pinyin: Kēdǒu kěn là) or "female horse stuffed with wax" (骒马口蠟). Before marketing in China, the company found a close phonetic equivalent, kekou kele (pinyin romanization; 可口可乐), which roughly means "let your mouth rejoice". It was never marketed by the company using the other phrases, though individual merchants may have made such signs. Americans don't usually have l-vocalisation. The '-pis' part, I should think, would be equally problematic for all English speakers, and the name 'Calpis' was probably not created by one. I'd guess Calpis/Calpico is similar to Yokult, which I've had and enjoyed. But what is Wave of Soda? I was going to mention about Yakult, which is indeed similar to Calpis, in that both are watery yoghurt drinks. Yakult comes in cute little plastic bottles that you can drink right out of. Although it is refreshing and probably has some health benefits, I found it to be too sweet for my taste to drink very often. Calpis, on the other hand, in the form that I bought it, came as a concentrate in larger glass bottles and you could mix it with water to whatever degree of sweetness you desired. It also had a very special flavor with an evocative after-taste and could cure my thirst for a long period of time even on the hottest Taiwan days. You could also buy it pre-mixed with water, and the proportion of sweetness was suitable for me. Thanks for the good question about "Wave of Soda". Bōzǐ qìshuǐ 波子汽水 ("Wave soda") is one of the Chinese names for a very unusual type of Japanese soft drink called "Ramune" that was introduced in 1872. Another Chinese name for the drink is Dànzhū qìshuǐ 彈珠汽水 ("Marble soda"), after the unique bottle in which it is served. Ramune (ラムネ) (Japanese pronunciation: [ɾamɯne]) is a type of carbonated soft drink originally created and sold in Japan which was introduced in Kobe by Alexander Cameron Sim. The brand name comes from a wasei-eigo [VHM: "Japanese-made English"] of the word lemonade. Ramune is widely known for the distinctive design of its bottle, often called Codd-neck bottles after the inventor, Hiram Codd. They are made of glass and sealed with a marble; the codd head is held in place by the pressure of the carbonation in the drink. To open the bottle, a device to push the marble inward is provided. The marble is pushed inside the neck of the bottle where it rattles around while drinking. Therefore, the drinks are sometimes called "marble soda" outside Japan. While the Codd-neck bottle was once commonly used for carbonated drinks, today Ramune is one of its very few users. People trying Ramune for the first time sometimes find it difficult to drink, as it takes practice to learn to stop the marble from blocking the flow. In one version of the bottle introduced in 2006, little slots were added to the cap where the marble was originally held. This prevented the flow from obstruction if the marble falls back into the cap. Ramune is also available in plastic PET bottles and cans. Ramune is one of the modern symbols of summer in Japan and is widely consumed during warm festival days and nights. Empty bottles are usually collected for recycling at stalls where it is sold. I still remember when I was living in Taiwan in the 70s drinking Ramune from that very strange bottle. At first I found it hard to drink from, but after learning the trick, I enjoyed the challenge and the experience. Highly recommended, as are Calpis and, to a somewhat lesser extent in my opinion, Yakult. @Andrew Usher: L-vocaoization is found in some dialects, such as New York and Philadelphia. In fact, I live in New Jersey and I always pronounce Calpis as "cow piss". Granted, this doesn't seem to be the case in GA, but maybe the pronunciation is still considered close enough to be problematic. coined the term "marble madness". I remember another drink with a weird name: Pocari Sweat. 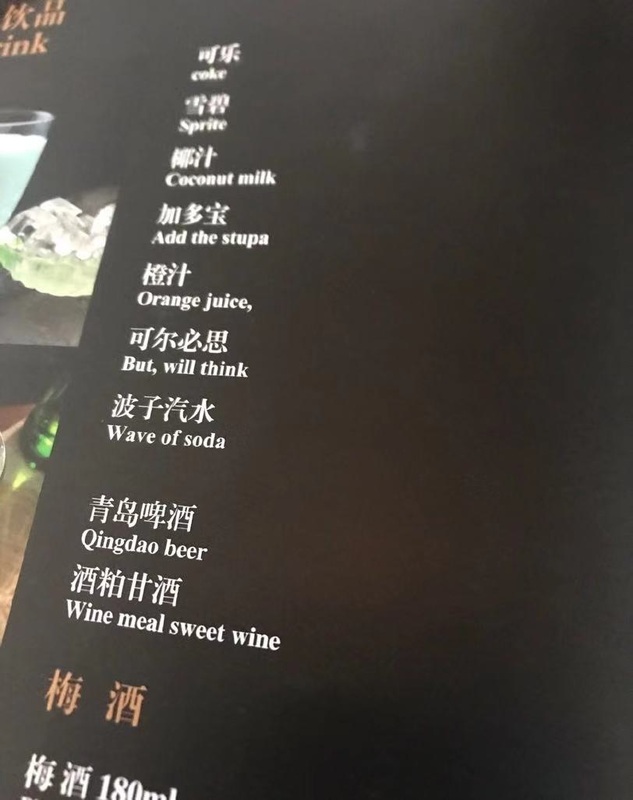 The whole thing makes quite a lovely little found poem, with the offbeat almost-rhyme of coconut milk / but will think followed by the trochaic dimeters add the stupa / wave of soda. Thank you. I will have to see whether Ramune is available here in SF (likely at Nijiya Market). OK, but I don't know if one can speak of a single New York or Philadelphia dialect in such a context. My 'cal-' doesn't sound too much like 'cow' even ignoring the 'l', as the vowel considerably differs. I agreed the name could be problematic, and it would take no genius to come up with the 'cow piss' pun – naturally. @Andrew & Patrick: whereas my cal- vowel sounds exactly like cow except it doesn’t have the diphthong, instead ending in L. So in my idiolect, Calpis sounds almost but not quite entirely just like cow piss. I’m experimenting with the differences between my cal and my cow. My cal is the same as in my California. My cow starts with the same vowel but then adds the w for a diphthong. My cal is entirely unlike call. One, sarpis is written सर्पिस् , not सर पिस. Two, it means clarified butter (ghee), and not "butter flavor". My northwestern American accent indeed does not have l-vocalization, but it is exceedingly common to joke about Calpis being "Cow Piss" among friends. It's a single phoneme difference. I have to ask you two what pronunciation do you have in mind? I assume the 'cal' of 'Calpis' rhymes with 'Al'. But I suppose it could be said (despite original intentions) as 'call', which is much closer to 'cow' as the L is very dark after that vowel. But for me the other 'cal' pronunciation is quite distinct: it has the TRAP vowel, while the first part of the 'cow' vowel would be identified with PALM/LOT (or, if anything, even farther back). Do you really pronounce cow as [kæw] ? I don't know who "you two" are, but my "calcium" (for example), or "calgon", or "calpis" could all be spelled "cow[l]…" without affecting my informal pronunciation in any way. "Calisthinetics", on the other hand, has a clear TRAP vowel, as does "Caligula" and Greek "kalimera". Although at first sight the number of syllables might appear to be significant, in practice I think that my use of the COW vowel and dark-[ł] is conditioned by an immediately following consonant (after the initial "cal" cluster) while an immediately following vowel leads to my use of the TRAP vowel and clear[er] [l].